Equally important to the engagement ring is the wedding band. While the engagement ring represents the promise of marriage, the wedding band symbolizes the promises spoken during the ceremony. It’s an expression of love, fidelity, and a new journey together. Many people choose to wear only the wedding band after the wedding, and thus, it should be a reflection of your style and what you love. Maybe you don’t want a wedding band that matches your engagement ring exactly, and that’s okay. We love it when brides go out on a limb and switch things up. It’s a beautifully artistic way to showcase your personality and who you are. Here are a few of our tips for finding a different style wedding band. The best way to see how a wedding band will look with your engagement ring is to try it on in person. 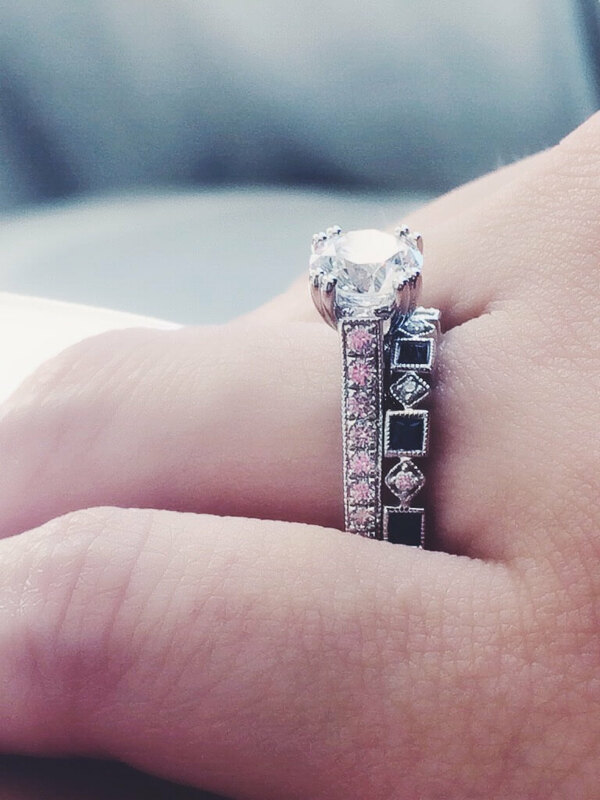 You may discover new styles that look gorgeous with your ring and may surprise you. Contact us to set up an appointment to try some on. We have a plethora of bands or we can custom make one for you! Like the classic black dress, the solitaire goes well with anything. If you have a solitaire, the sky’s the limit. Try mixing your ring with an antique band for a classic look. Or if you’re looking for something more modern, try a simple pave band. A pave band on each side of the ring is also a great symmetrical look. The only thing to be careful of is to make sure that if there are gaps between the engagement ring and wedding band, the wedding band has enough metal to stand them bumping against each other. If you’re looking to find a different wedding band that’s not so crazily different from your engagement ring, we recommend finding a wedding band that is “set” the same way as your engagement ring. The engagement ring and wedding band have two different charms, but because they are both pave-set with milgraining (those little bumps) along the edges, it help ties the look together. 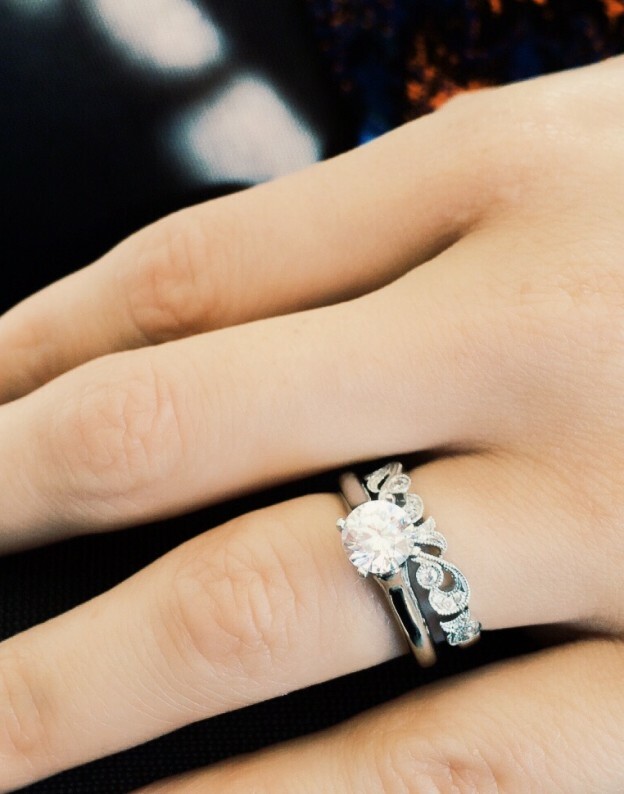 What do you think of having contrasting engagement rings and wedding bands?